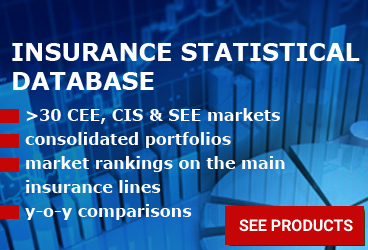 According to the market results published by CAP - the professional association of the Czech insurers -, the local market saw a 5.55% y-o-y increase in GWP, to EUR 3.78 billion, most of which came from the non-life insurance segment. The Motor Hull insurance class recorded the highest GWP growth rate, of 11.13%, to EUR 580.6 million, while on the MTPL side GWP increased by 7.66%, to EUR 680.5 million. The two LoBs have provided, together, for more than half of the premium increase. According to a recent CAP press statement, the premiums growth on the motor insurance classes is owed to the increasing tariffs for risky clients, not to the increase in the number of insured vehicles. Compared to the trend of previous years, when the average premium on the MTPL line was practically stagnant, this year is expected to reach CZK 2,869 for the whole market, which corresponds to an approximately 3.4% y-o-y growth compared. 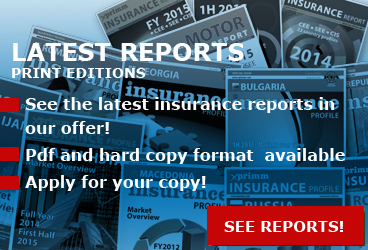 Petr Jedlicka, insurance mathematician of the Czech Insurers' Bureau, says: "In the key segment of passenger cars, new premiums are increased by 5.3%, with the highest increase for the riskiest clients who have caused damage in the past. We see an increase of more than 200 crowns on average (5.9%), while the increase for clients without recurrent past damage is mostly lower," he adds. 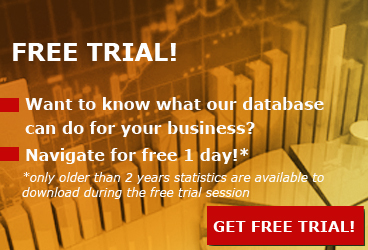 A change in the MTPL price segmentation criteria is in preparation in the Czech market. Thus, in addition to traditional criteria, such as age, policyholder's place of residence, bonus and malus, vehicle usage, engine volume and performance, or damage history, in the future insurers will increasingly use kilometer, frequency and scale of misdemeanor information, data from telematics systems to monitor the driving style, and vehicle availability by active assistive systems to determine the client's risk. The overall market ranking remained unchanged as compared with the previous year, with Ceska pojistovna - member of the Generali group -, Kooperativa, pojistovna - VIG and Allianz pojistovna making the Top 3 and accounting together for about 51% of the market premiums. On the life insurance segment, Ceska pojistovna continues to lead, followed by Pojistovna Ceske sporitelny-VIG, taking over the second position from Kooperativa, pojistovna-VIG, as a result of the higher GWP growth rate recorded in the first three quarters of the year. On the non-life segment, the Top 3 composition remained unchanged: Ceska pojistovna, Kooperativa, pojistovna - VIG and Allianz pojistovna, accounting together for 57.2% of the non-life GWP, a slightly lower weight as compared with 59.56% in 3Q2017. 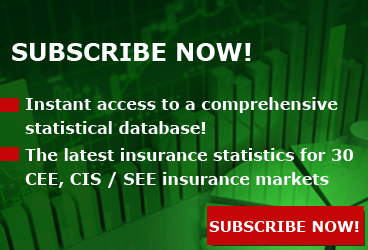 Access www.xprimm.com and download the 3Q/2018 Czech insurance market statistics.